Before you get into a shop or store to buy a boat propeller, you need to understand the best one. Inboard Boat propellers are unique tools that increase the performance of a boat when sailing. Sail your boat easily and much faster by getting the perfect boat propeller. This article will discuss features you should look for when buying a boat propeller. First, consider the size of the boat propeller. Even without saying propellers which have a bigger diameter will push more water as compared to propellers with a small diameter. What then does this mean. In sailing, a propeller with a large diameter will create more energy and power. You will be able to choose the right propeller depending on the pitch of your boat. What is the pitch? This is the distance covered by the boat after the propeller moves it in one revolution. 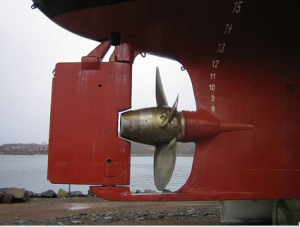 In this case, a lower pitched propeller will make the boat to move slower despite more engine. On the hand, if the propeller is high pitched the boat will move faster with one rotation hence covering a bigger distance. Therefore, when you are choosing a propeller, get one that is in close range with how the engine operates. Remember not to get one that is over or under the range. The other feature is the blade of the boat. Within this feature is a special angle referred to as a rake. Between the blade and the hub is a rake. Thus, one can define rake as the angle between the blade and hub. The angle of the rake can be flat or progressive. Depending on how the rake stays, it will affect how the bow lifts out of the water. This is necessary to put into consideration because the props you find in the market are between zero to twenty degrees. With regards to this, a high raked propeller will suit not only boats that are lightweight but those that move at a very high speed. However, you need to note that too high raked propellers are not good. This is because the overall performance of the boat is reduced as a result of straining the engine. Last but not least, get propellers that have less number of blades. More efficiency is attained with a lesser number of blades. However, the end effect felt is more vibration as the boat sails. Finally, choose stainless steel shaft since they will serve you for a long time and their performance is excellent. Click here for more information: https://www.britannica.com/technology/propeller.